Heating and cooling a home can use up to one-half of a home’s energy budget. If properly used, a programmable thermostat can help save up to 10% in annual heating and cooling costs. Choose a programmable thermostat that is easy to use. It won’t save energy and money if you don’t use it properly! Heating and cooling a home takes the largest bite out of the home energy budget—43 percent to 54 percent. A thermostat, a temperature-controlled on/off switch, usually controls the home’s heating, ventilation and air-conditioning (HVAC) system. The thermostat can have a major impact on yearly energy costs. This fact sheet will discuss how to use a thermostat to help save money, with a focus on programmable thermostats. There are a variety of thermostats available at the home hardware store, online, or through a HVAC contractor. 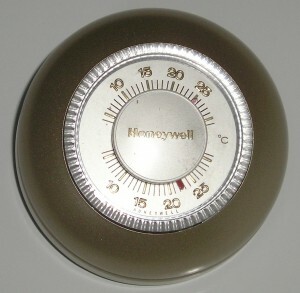 A mechanical household thermostat (Figure 1) is a small square or round box attached to the wall. The mechanical thermostat is easy to use: set the system switch to “heat” or “cool,” then set the temperature switch to the desired temperature. They’re widely available from a variety of manufacturers. Figure 1. A familiar example – the round mechanical thermostat. Credit: Vincent de Groot / Wikimedia Commons, CC BY 2.5. Digital thermostats come in a variety of shapes, but all have a small liquid crystal display (LCD) or backlit display screen, and settings are changed using buttons or touchscreen controls. These controls are more precise, which makes it easier to adjust a digital thermostat to an exact set point, compared to a mechanical thermostat. Digital thermostats are available in both non-programmable and programmable models. Non-programmable digital thermostats (Figure 2) function in the same manner as mechanical thermostats—choose the system setting and then set the temperature. A number of models are “digital” only in the sense that they have a screen. They use a switch to change the system setting and a dial or slider to set the temperature, just as mechanical thermostats do. Other models, however, are digital in the more usual sense of the word: buttons are pressed to change the onscreen display. Mechanical and non-programmable digital thermostats are manual thermostats: each time you want to change the temperature in the house, you have to re-set the thermostat by hand. A programmable digital thermostat (Figure 3) will adjust the temperature to a series of settings entered by the user. The screen is larger, and the unit is equipped with memory. A temperature can be entered and a time of day and a day of the week can be specified for that temperature. Several temperature/time settings can be entered according to the homeowner’s schedule. The thermostat automatically changes the temperature at the time indicated. April 24, 2012 – A set of advanced thermostats and in-home energy display devices, being evaluated in NREL’s Automated Home Energy Management laboratory. Credit: Bethany Sparn / NREL. The ENERGY STAR®: Use Your Programmable Thermostat to Save Energy and Fight Global Warming website includes an interactive demonstration showing how to program a generic thermostat. There’s also a link to a downloadable Excel spreadsheet for entering actual electricity and gas rates to give a better estimate of energy savings. An informative video on buying and setting a programmable thermostat can be found here. The smart thermostat is the next progression of the programmable thermostat. With sensor packages and progressive graphical user interfaces, these Wi-Fi enabled devices provide high tech additions over their digital predecessors. The screen size is comparable to a programmable thermostat, but the devices incorporate color changing backgrounds with clean menus to display easy-to-read information and allow for easier programming. There are many features to look for depending on the user’s needs including: multistage heating and cooling, temperature swing, programmable fan support, keypad lock, auto-scheduling, geofencing, equipment problems or maintenance needs notification, humidity sensors, motion sensors, and instant feedback on energy costs. A connected smart thermostat is a Wi-Fi enabled thermostat allowing the user to program or to remotely control a home’s temperature through a mobile device or a computer. This type of thermostat is good for someone that forgets to pre-set a programmable thermostat or has an irregular schedule because it can still be programmed remotely, for example from work. These thermostats learn the habits and temperature settings of the users through manual adjustment for a week or two, then begin to automatically adjust temperature settings and fan speeds based on those initial user settings to maximize the efficient use of the heating and cooling system. These models are also Wi-Fi enabled allowing the user to make temperature adjustments remotely by smart phone or computer. Some models may have sensors for motion, light and humidity. A learning thermostat works best for a home occupant with a somewhat set schedule. Communicating thermostats are smart grid services equipment supplied by some local utility companies and work with utility smart meters and smart grids. A smart grid uses digital technology that allows for two-way communication between the utility and its customers. The thermostats can be either self-controlled or utility controlled. For more information on the smart grid see the Smartgrid.gov website. 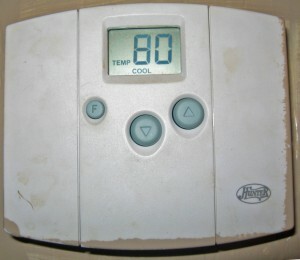 Figure 4 Image of an installed learning thermostat. Credit: Wikimedia Commons, CC BY-SA 3.0. A simple and effective way to reduce the energy bill in winter is by lowering the temperature so the house is cooler than usual at night when everyone’s asleep, or when away from home. Similarly, in summer raise the temperature so that the house is warmer than usual when away. Turning the temperature down is called thermostat setback; raising the temperature is called thermostat setforward (or setup). The Canadian Center for Housing Technology (CCHT). Thermostat Setback and Setforward web page links to various CCHT articles and reports on thermostat setback and setforward. The only drawback to the setup method is that, with a manual thermostat, the temperature must be reset every time someone leaves home and returns, every night before bed and every morning when waking. This is where a programmable or smart thermostat comes into the picture. A programmable thermostat isn’t needed to reap the energy savings that come with setback and setforward, provided there is diligence about resetting the thermostat. But a programmable thermostat or smart thermostat is convenient—and it never forgets. A widespread myth claims that the setback/setforward strategy doesn’t work because it takes more energy to warm the house back up (or cool it back down) to a comfortable temperature than it would to simply keep the house at the same temperature overnight. Research has shown that this is not true. Although a HVAC system will run while returning the home to a comfortable setting, this uses less energy than keeping the house at a constant temperature around the clock. The longer the setback period, the greater the energy savings. Another idea—the “valve” or “gas pedal” theory—suggests the higher the thermostat setting, the more heat a furnace puts out. A variant on this is the notion that the home will warm up (or cool down) more quickly if the thermostat is set higher (or lower) than the desired final temperature. Neither of these ideas is correct. A furnace puts out the same amount of heat at the same rate regardless of how high the thermostat is set—similarly for an air conditioner putting out cool air—and simply cycles on and off to keep the temperature at the thermostat’s setting. The aspect of programmable thermostats that makes them so convenient is also the aspect that’s most frustrating: many people find programmable thermostats are hard to program. This has been confirmed in a variety of surveys and studies. People find them too hard to read; complain the programming buttons are too small and the screens too small or complex; say the terminology, abbreviations and symbols are confusing; and that, thanks to poor feedback, it’s hard to tell whether or not they’ve been able to successfully program their thermostat. These complaints are not new—many go back more than 20 years. With the advent of the smart thermostats, some of the difficulties that come with programming are solved by a more intuitive screen design and the ability to program the thermostat through a smartphone or computer interface instead of pushing tiny buttons on a wall mounted unit. 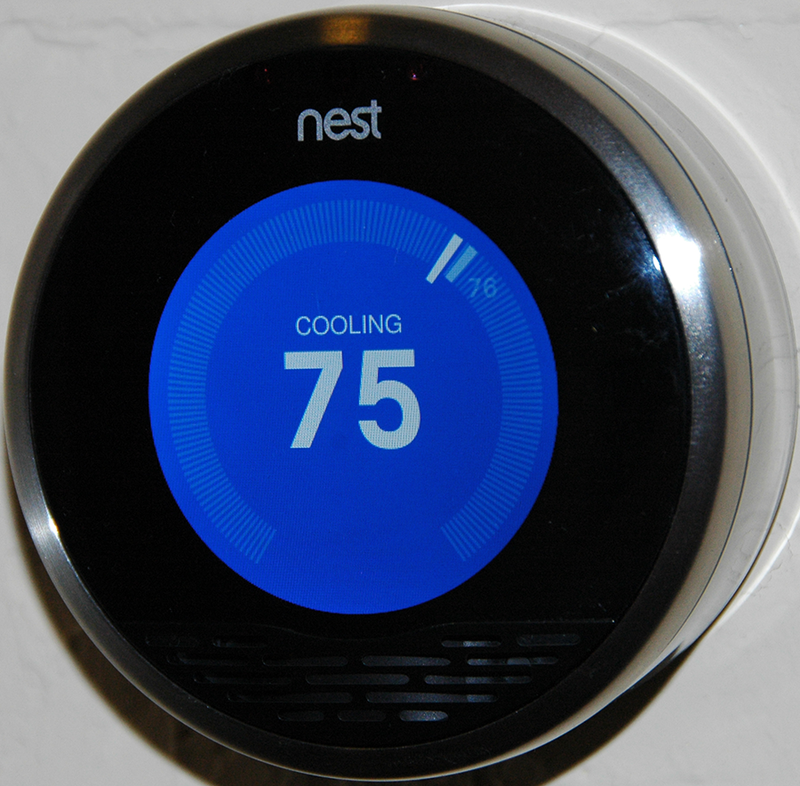 A learning thermostat takes much of the programming out of the users hands. As soon as it is installed it begins to compare the times when the home is occupied to the entered settings. A few days of “learning” and it will automatically adjust the temperature to maximize energy savings. Many homeowners don’t use their programmable thermostat properly. This stems from design problems, misconceptions about heating and cooling the home (the myths discussed earlier), and about the function of a programmable thermostat. Research shows that some people think of a programmable thermostat as simple on/off switch, or as a valve (turning it up increases the amount of hot/cool air). One study found that half of the homes that had a programmable thermostat had it set to indefinite hold (meaning the temperature was kept constant, 24 hours a day). The same study also found that 20 percent of thermostats weren’t set to the correct time. This meant the thermostat didn’t change the temperature settings at the correct time (when people were out of the house, or at night), again wiping out energy-saving benefits. A learning thermostat would be appropriate for homeowners unable to properly use a programmable thermostat. 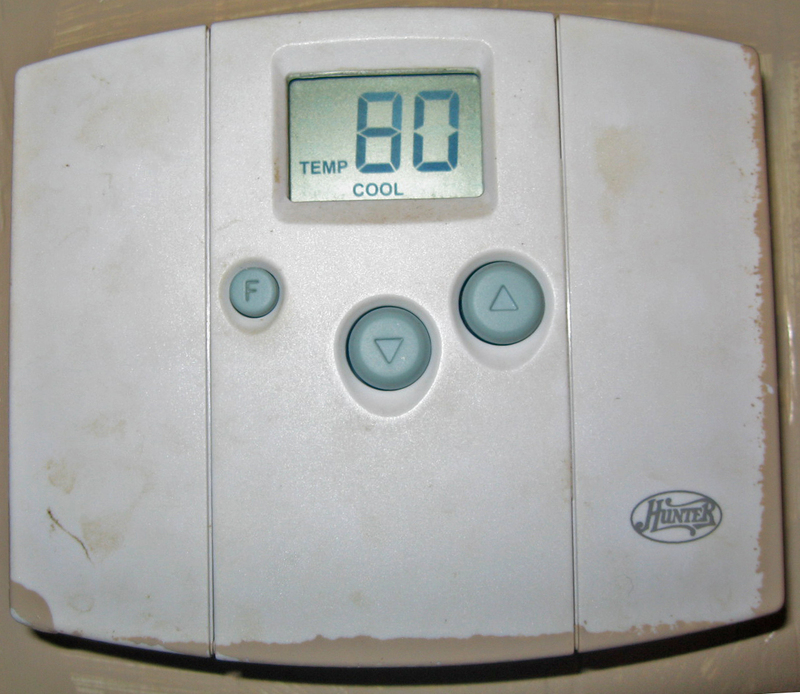 All the human error/guesswork is removed because data is collected by the thermostat itself. A heat pump works differently than a separate air conditioning unit. In its cooling mode, a heat pump operates like an air conditioner, so setting the thermostat higher when the home is unoccupied, or at night, will save energy and money. But in heating mode, a heat pump extracts heat from the outdoor environment and moves it into conditioned space, and its efficiency drops significantly during the coldest hours of the winter. To make up for this the heat pump is equipped with auxiliary electric strip heaters, which are much less efficient but can provide that extra heat during really cold weather. It should be noted that significant increases in thermostat settings (i.e. greater than 2° F), typically cause the electric strip heat to come on. To limit this problem, make sure that any setforward is 2° F or less during the winter months with a heat pump system. There are programmable thermostats and smart thermostats specifically designed to work with heat pumps, which will bring the temperature up in winter without turning on the electric resistance heat system. Look for wording on the package that indicates the model is especially for heat pumps. A programmable thermostat is not necessary in order to save energy and money on heating and cooling, provided the homeowner is consistent in setting back or setting forward the thermostat. The convenience of a programmable thermostat or smart thermostat makes the idea of coming home to a dwelling that’s already at a comfortable temperature when walking in the door (or when waking in the morning), a reality. The biggest factor is to make sure the thermostat purchased is easy to use. Shop around and look at a wide variety of models. If there are demonstration models available, try them out by programming them. See if the store clerks have suggestions on models that are simple to program. Look for displays and controls that are easy to understand. Touchscreen models tend to have larger, backlit screens that are more easily read, especially in low light situations. Models with onscreen calendar displays may be more intuitive to use when programming the thermostat. Instructions incorporated into the thermostat itself—as part of the onscreen display, for example, or on a swing-out faceplate—are a useful feature. Don’t forget to check online, too. Almost all manufacturers have websites with downloadable user manuals for each of their models; read the manuals of the models of interest to determine if the instructions are clear and easy to follow. Once on the wall, if the thermostat is not that easy to use, return it. Even a top-of-the-line model won’t save energy if not used properly. Different thermostat models are available for each type of HVAC system; be sure the new thermostat (or thermostats, in the case of a zoned system) is compatible. Check with the manufacturer if there are questions regarding the model. 1-week models allow setting a single program for the entire week. 5-2 models allow setting a standard program during the work week and a second program for the weekend. For maximum flexibility, get a 7-day model, which allows programming each day of the week individually. All models come with an override setting, which allows temporarily changing the current settings without altering the programmed settings. This is a great convenience if, for example, that big Friday night party heats up the house. Temporarily lower the temperature for the length of the party then set it to return to the normally scheduled program once everybody goes home. If the thought of programming a thermostat is overwhelming, consider one of the learning thermostats. The unit will cost at least twice the price of a regular programmable thermostat but may be worthwhile in terms of energy costs payback over time. Many home improvement stores have websites with buying guides, installation guides, and even videos to assist a consumer. Taking a quick online tour before going to the store can help the consumer to make a smart buying choice. If upgrading the air conditioning unit, or the entire HVAC system, a residential heating and cooling contractor will have recommendations about an appropriate thermostat. Either route can help make a home more comfortable and enable saving money—and energy—in the long run. Programmable thermostats have been ENERGY STAR labeled since 1995. However, the Environmental Protection Agency (EPA), which administers the ENERGY STAR program in association with the U.S. Department of Energy, suspended ENERGY STAR specifications for programmable thermostats at the end of 2009. Investigation by the EPA showed that there was little difference between ENERGY STAR qualified and non-qualified thermostats. The government’s research showed that energy savings depended far more on user behavior, not whether the thermostat was ENERGY STAR certified. ENERGY STAR is working on a new standard for “Connected Thermostats” that involves the service component (thermostat) and the service provider (utility). It is the EPA’s hope that the smart thermostat will save consumers energy and money and provide load balancing benefits to the grid. The ability for the consumer to interact with their home’s HVAC in real time using readouts, graphs and projected energy savings with the smart thermostat, may help change consumer energy usage behavior. Occupancy detection and automation of controls may also help to reduce energy. Integrating and automating other home systems with the smart thermostat could reduce grid loads at peak times. Putting in a new HVAC system is a project best left to a professional HVAC contractor. Replacing an old mechanical thermostat with a programmable thermostat is within the reach of a do-it-yourselfer (DIYer). Be sure to check whether or not it will affect the warranty on the HVAC system. Be familiar with the wiring of the home, as well as the HVAC system, in order to get a compatible model. New thermostats come with installation instructions; follow them carefully. Older homes may not have the proper wiring setup for a programmable thermostat. Depending on the particular situation, a battery-operated unit, or a model that works with direct line voltage (used to power the thermostat in some older homes) may be needed. If the old thermostat is poorly situated, this is an opportunity to fix the problem. A thermostat’s location can affect its performance and efficiency; one study found that in the majority of households they studied, thermostats were improperly positioned. To prevent unnecessary system cycling, choose a location that is unaffected by any source of heat or cold—away from direct sunlight, drafts, doorways, windows, skylights, and not under a supply duct from the system. The ideal location is on an inside wall, where the thermostat can be easily accessed to program it. Remember that there is help available both online and at home improvement stores. If replacing an old mechanical thermostat, be aware that these devices frequently contain mercury switches (a glass bulb containing silver liquid). Mercury is a toxic material and must, by law, be disposed of safely. Many HVAC wholesale distributors, HVAC contractors, and retailers who sell thermostats will accept old mercury-containing thermostats, and many counties have Hazardous Waste Collection Centers that will accept them as well. In 1998, thermostat manufacturers set up the Thermostat Recycling Corporation, a non-profit organization, to facilitate and manage the collection and proper disposal of mercury-containing thermostats. The organization’s website has a search function to enable you to locate collection points near you. Important: Do not disassemble the thermostat! Simply take the entire thermostat to the disposal location. Programmable thermostats are getting fancier, and quickly. There are Wi-Fi-enabled smart thermostats that allow you to program them remotely from any phone or Internet connection. One manufacturer is offering a moderately-priced thermostat with a full color screen, changeable themes, and a USB port to enable you to load photos into its memory, so that they can be displayed as a constantly-changing slide show. On a more practical note, it also has the capability to graph your home energy use, so that you can see how your thermostat settings affect your energy consumption. Other “smart thermostat” models allow you to get the latest weather forecast for your area, or estimate the cost of your monthly utility bill. One model being tested monitors the weather based on a home’s zip code and adjusts energy use while still keeping the indoor temperature comfortable for occupants. There’s a model for homes with solar panels installed on the roof that will track the energy output of those panels. Learning thermostats take the guesswork out of programming the heat/cool settings. Be aware, however, that the new features may come at a cost. If you’re thinking about installing one of these advanced control systems, find out how much energy they use. If the fancy screen and computer use 30 Watts or more continuously then you may be better served by a simple programmable thermostat. Having more control over your home energy use will allow you to be comfortable and save money—and that will be a good thing for both your budget and the environment. Adams, C. (2010). Does turning down the thermostat at night save energy? The Straight Dope. Retrieved May 22, 2015. A brief and entertaining discussion of thermostat setback, programmable thermostats, and common myths about both. Canadian Center for Housing Technology (CCHT). Thermostat Setback and Setforward. Retrieved May 22 2015. This web page links to various CCHT articles and reports on thermostat setback and setforward. Canadian Mortgage and Housing Corporation Technical Series. (2005, revised 2009). Effects of Thermostat Setting on Energy Consumption. Research Highlight 63817. Ottawa, ON. Earth911.com. Is a Smart Thermostat Right for You? — a discussion with Abigail Daken, an environmental engineer with EPA ENERGY STAR, Retrieved June 4, 2015. Lu, J., Sookoor, T., Srinivasan, V., Gao, G., Holben, B., Stankovic, J., Field, E., & Whitehouse, K. (2010). The smart thermostat: using occupancy sensors to save energy in homes. In Proceedings of the 8th ACM Conference on Embedded Networked Sensor Systems (pp. 211–224). Retrieved June 4, 2015. Malinick, T., Wilairat, N., Holmes, J., Perry, L., & Ware, W. (2012). Destined to Disappoint: Programmable Thermostat Savings are Only as Good as the Assumptions about Their Operating Characteristics. ACEEE Summer Study on Energy Efficiency in Buildings. Retrieved June 4, 2015. Manning, M. (2005). Proven savings with setback. HPAC 79 (September/October), pp. 24-25. Meier, A., Aragon, C., Hurwitz, B., Mujumdar, D., Perry, D., Peffer, & T., Pritoni, M. (2010). How People Actually Use Thermostats. ACEEE Summer Study on Energy Efficiency in Buildings, Retrieved June 4, 2015. U.S. Department of Energy, Energy Efficiency and Renewable Energy Clearinghouse (EREC). (1997). Automatic and Programmable Thermostats. Publication DOE/GO-10097-375. Merrifield, VA.
U.S. Department of Energy. ENERGY STAR: Use Your Programmable Thermostat to Save Energy and Fight Global Warming. Retrieved May 31, 2015. This website includes an interactive demonstration showing how to program a generic thermostat. There’s also a link to a downloadable Excel spreadsheet that enables you to enter your actual electricity and gas rates to give a better estimate of your savings. Woolley, J., Pritoni, M., Modera, M., & Peffer, T. (2014). Why Occupancy-Responsive Adaptive Thermostats Do Not Always Save – and the Limits for When They Should. ACEEE Summer Study on Energy Efficiency in Buildings, Retrieved June 4, 2015.
a Program for Resource Efficient Communities, Florida Cooperative Extension Service, Institute of Food and Agricultural Sciences, University of Florida, Gainesville, FL. b Florida Solar Energy Center, University of Central Florida, Cocoa, FL.